Considered a mythical land for centuries, it has only been recently that Tibet, Land of Snows, opened itself to the outside world, showing an extraordinary cultural and human wealth. Rituals and customs, artwork and worship objects: this 8th Tibetan Cultural Festival aims first of all at exploring Tibetan traditions and modern expression in order to contribute to the preservation of that so inspiring ancestral culture. 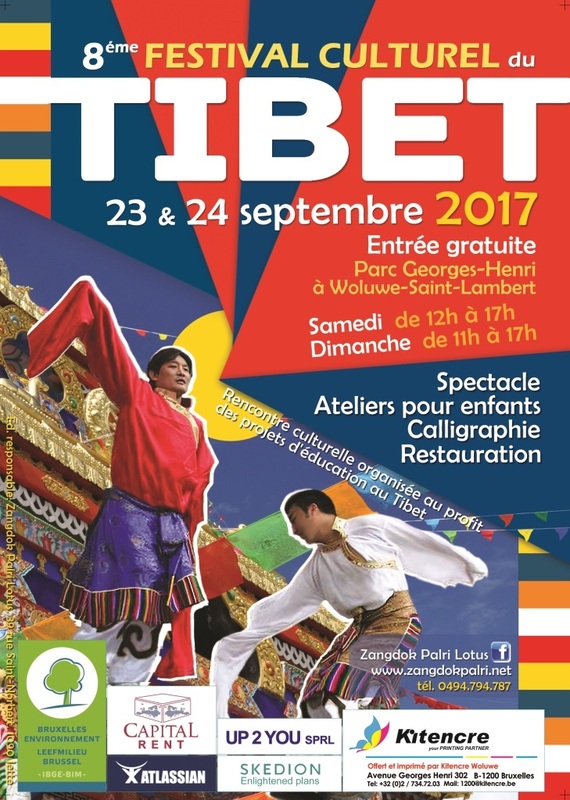 Organized by the Zangdok Palri Lotus non profit association in the presence of lama Patrul Rinpoche, the Festival will take place during the weekend of 23 & 24 September 2017, in the magnificent setting of the Georges-Henri Park in Brussels. All the activities will take place in the open air, in a large tent made of yak hair and in festive tents as they are still used today by Tibetan nomads during festive occasions. 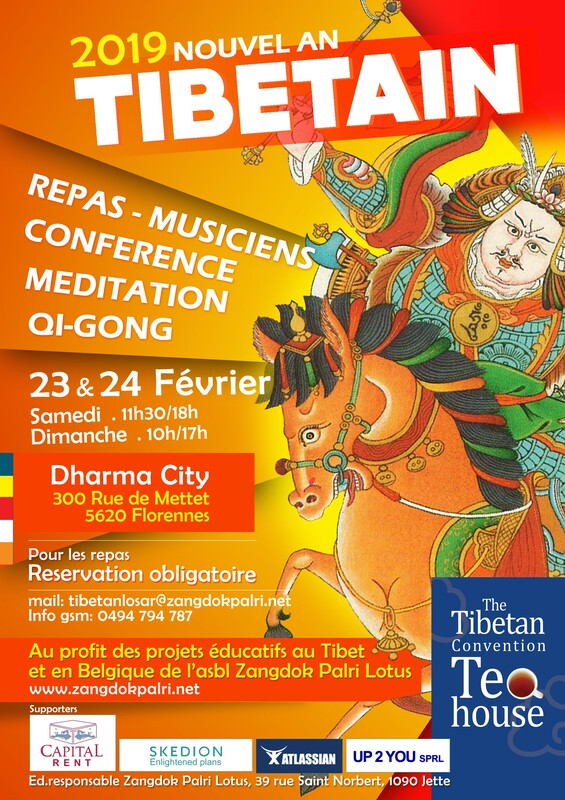 We will be happy to welcome you for the Festival. The more the merrier! 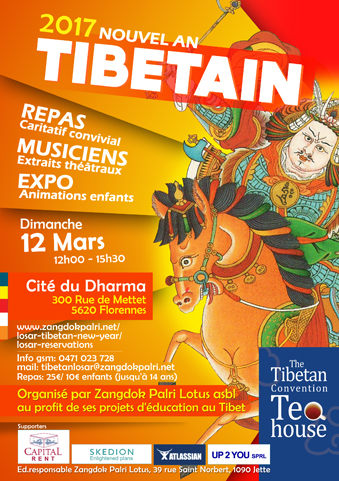 The activities will take place all day, Saturday from 12:00 to 17:00, and Sunday from 11:00 to 17:00. The culinary tastings, sold at a democratic price, are served from 12 :00 to 14 :00. 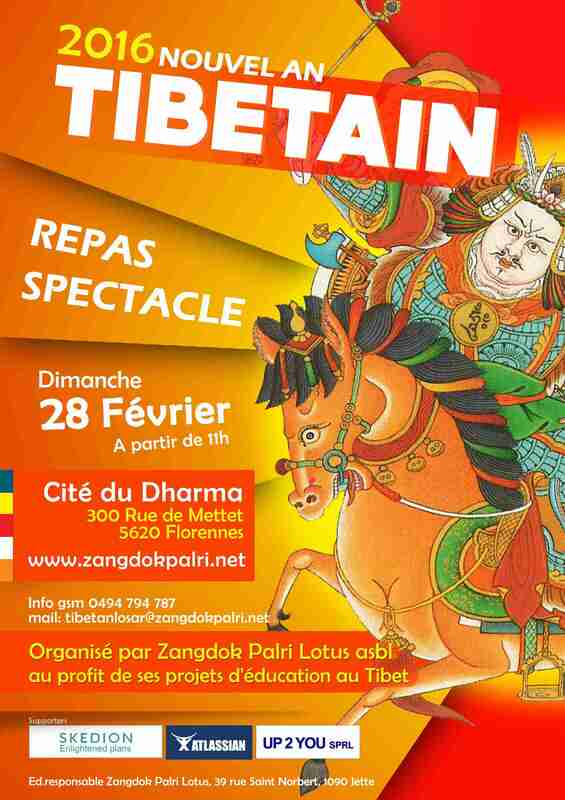 The benefits of the event are intended for educational projects conducted in Tibet by the association Zangdok Palri Lotus. Everyone is welcome at all times! 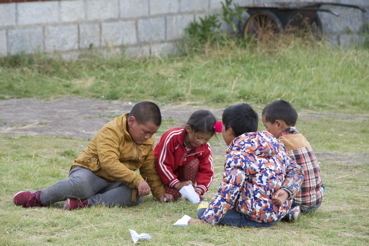 In Tibet, sending a child off to school is not always an easy choice: there is always plenty of work to do in a nomad community, and letting go of a pair of helping hands can lead the family into financial difficulties. That is why our three secondary school students in Chengdu have answered their parents’ calls and have returned home, interrupting their training for the time being. We have faith in their accomplishments, though: their thorough knowledge of Tibetan and Chinese and their notions of English and ICT are assets that will prove very useful in the future. Because there are no primary school students ready to take over from them yet, our secondary school is put on hold for the time being, and we focus all our efforts on the school-orphanage, which continues to serve its 35 students, most of them in boarding school. 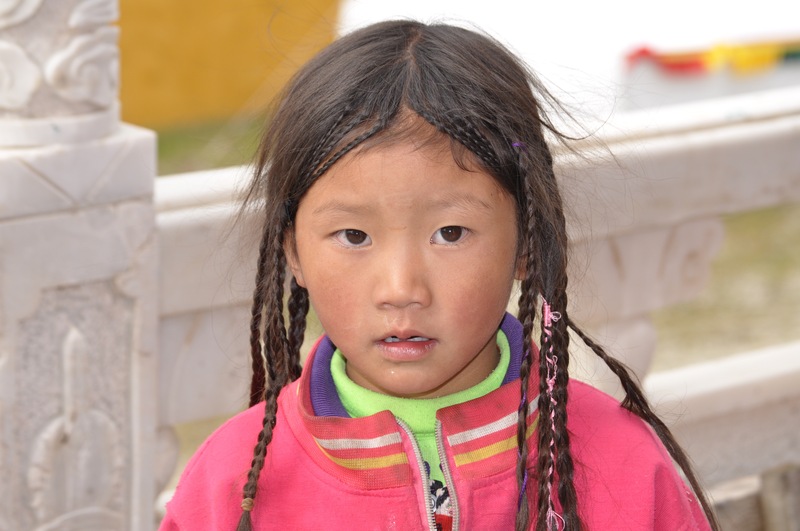 Around Dzogchen, the effects of this training sometimes come very quickly: several girls who have finished primary school and have started their own families now give literacy courses to the villagers in their region, securing a modest income for themselves. We are naturally very happy with this indirect transmission of knowledge! A cultural tradition as much as a religious one, a pilgrimage is called né kor in Tibetan, literally to circle a (holy) place, because Tibetan Buddhists walk around sacred buildings and places clockwise as a sign of respect and devotion. These holy places can be manmade sites like monasteries, temples or hermitages; in Lhasa, such sites include the Potala (once the primary residence of the Dalai Lamas) and the Jokhang temple, a high-ranking spiritual site containing a famous Buddha statue. Other pilgrim destinations include holy natural sites like mountains, lakes, caves and springs, one of the most visited being Mount Kailash in western Tibet. The koras (circumambulations) of these sites sometimes turn into arduous long-distance hikes over hills and rough terrain. The pilgrimage is often an opportunity to live an adventure. But it is above all a spiritual quest, a period during which the pilgrim focuses on meditation, on reflection, on the development of human qualities. 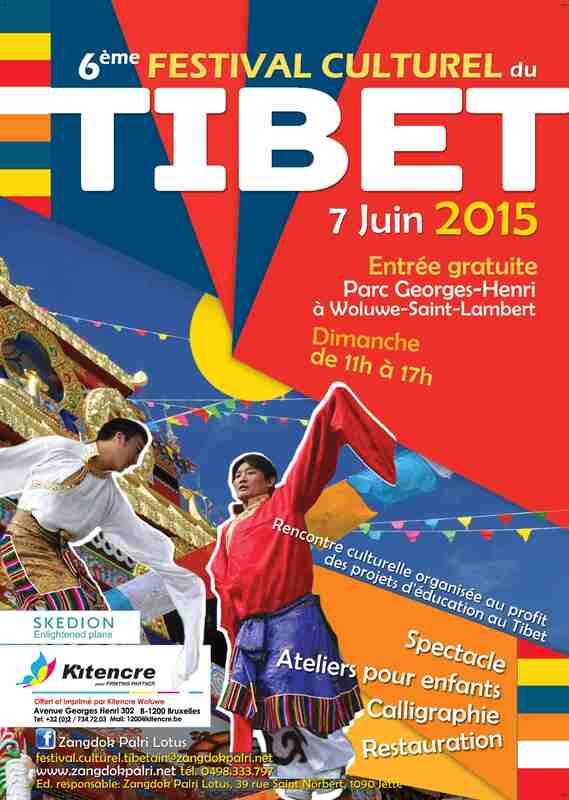 Throughout the journey, Tibetans offer hospitality to the pilgrims as they feel honoured by their presence. Some pilgrims complete the journey doing prostrations, making their trip last several months or even years, depending on their destination. The pilgrim prostrates by first joining his hands above his head, then level with his throat and heart. Then he stretches out on the ground, belly down, arms outstretched. Putting down a pebble at the end of his outstretched fingers, he rises, moves forward right up to where the pebble is, and repeats the practice. Circling Kailash prostrating like this takes at least four weeks. a few popular sayings, examples of Tibetan common sense and sense of humour both. Some of these are even quite similar to our sayings! It is easier to cover one’s feet in leather than to cover the entire earth in leather. Before changing the world, we need to change ourselves. If you drink the valley’s water, respect the valley’s laws. When the cat is away, the mice celebrate New Year. It is easy to spot the flea in another’s hair and ignore the yak on one’s own nose. Watery mouth before the meal, watery eyes when the bill arrives. If it works, it’s yoghurt, if it doesn’t, it’s curd!